Another realistic, grown-up book set on the Atlantic coast? I guess it was that kind of week. What Is Left The Daughter is the final book I read while on vacation. It was a lovely, bittersweet conclusion to several days of reading and writing by the crashing waves. Reading on the rocks at Schoodic Point. Both of Wyatt’s parents died on the same day, when he was seventeen years old. His mother and his father jumped off of separate bridges in Halifax, unbeknownst to one another, because they were each having an affair with the same woman. How’s that for the beginning of a fellow’s adult life? Odder, still: Wyatt’s story only gets more tragic and tangled from there. His parents’ demise takes up barely one chapter, setting up for twenty one years of bittersweetness and unexpected calamity. He look back on it all so calmly, though – so open to irony and wry observances – that the book is nicely devoid of too much self-pity. The writing is candid, not maudlin. And whenever Wyatt’s remembered experiences reflect too much pent-up tension, a funny conversation or absurd circumstance reminds us not to take things too seriously. This novel is framed as a long letter to his daughter, looking back through the decades to when the action began. After his parents die, Wyatt moves to live with his Aunt and Uncle in a smaller Nova Scotia town called Middle Economy. With no particular plans for the future, he agrees to become an apprentice to his Uncle Donald’s trade making sleds and toboggans. Donald and Constance are raising an adopted daughter, Tilda, who quickly captivates Wyatt’s attention with her “ravishing” beauty and lively charms. Tilda a strange, likable girl: she wants to be a professional mourner and reads all the obituaries, but she’s also fashionable and charming. In scenes when other characters stumble through awkward social situations, Tilda shines with conscious good humor. Life in 1940s Middle Economy has a gentle rhythm into which Wyatt falls easily enough. He keeps his love for Tilda secret (she sees him as a cousin despite the lack of shared blood). He tries hard to please his kind aunt and impress his uncle. But World War II rages on, bringing a reality of violence to Canadian shores in the form of U-boats, deaths overseas, and a constant threat of spies. Uncle Donald and others start to fixate on the dangers of German weapons sinking their boats and endangering their waters. So when a German philology student comes to town and gets close with Tilda, the rhythm of Middle Economy is thrown out of balance. Hans Mohring is no Nazi – he and his family moved away when Germany started to spin out of control – but his accent and his attentions rile up some citizens of Middle Economy. Uncle Donald shatters all his own beloved Beethoven records in a moment of suspicious anger, to make a point. (Music and trust run in the same metaphors throughout What Is Left The Daughter, illuminating certain characters’ deeper conflicts.) Some army boys rough up the friendly owner of a Halifax music shop because Hans was teaching him a little German language. Tilda and Hans eventually move above the local bakery – owned by a delightful local lady who takes no nonsense from any townsfolk – and plan a hurried wedding. Throughout all this, Wyatt hovers somewhere between friendship and an aching jealousy which bursts out at unfortunate moments. What was once a peaceful seaside town soon fills with pockets of unease. And then a boat is sunk. And then a murder. And then a split-second decision which will change everything for Wyatt, his family, and the town. There’s an image which I saw so clearly, I felt like I was standing in the house myself: Tilda sitting at the kitchen table while the song playing skips on the gramophone. The needle keeps jumping over a bullet hole. The gun in Tilda’s hand, pointed at her head, is at contrast with her measured voice. It’s a moment of still clarity in the midst of panic. It’s the calm before a slow storm of tragedy. Things can never go back to the way they were, and the next twenty one years bring Wyatt through changes of circumstance which, eventually, guide him back to his childhood home, where he writes to his daughter. The second half of the book isn’t quite so vivid and moving as the chapters in Middle Economy, but they’re realistic and still an interesting picture of one man’s altered life in such a charged time period. Characters resign themselves to unhappiness for a while, then have to look for comfort when it gets too hard. There are so many heavy hearts in this book and they all need someone to bear the weight now and then, even when injured pride and the messy past would recommend solitude instead. The war ends, time passes, but Wyatt still has to live with the consequences of his actions. His letter to Marlais reveals the circumstances of her birth and the nature of her parents’ relationship. It shows that sometimes fairness means someone has to suffer. 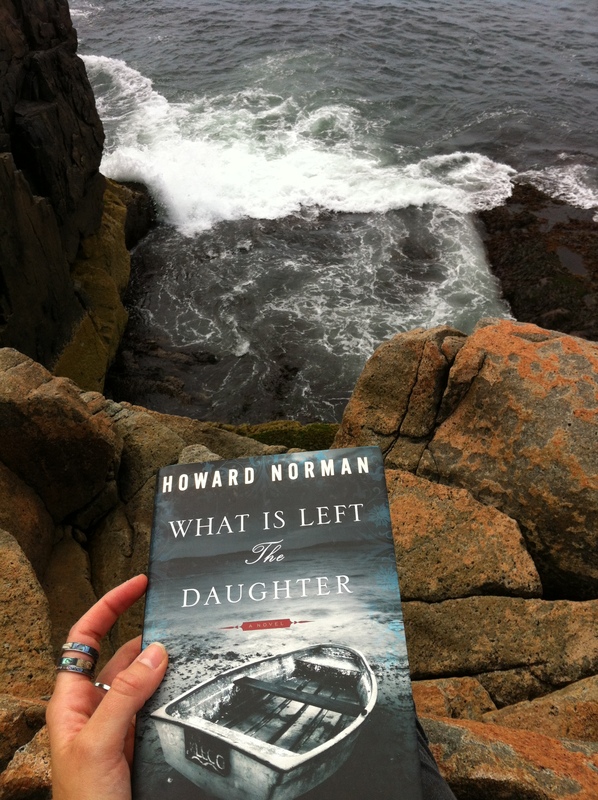 I loved the setting of What Is Left The Daughter, because Nova Scotia is one of my favorite places in the world. (My last reviewed book, Lobster Kings, also takes place near there.) I have to admit that I’ve never learned or thought much about Canada during World War II, but the setting and time period were easy to picture and a great stage for this character-driven story. Little details really made daily life in Middle Economy seem real: the bakery’s cranberry scones, or a crow trapped in the library. Even Wyatt’s job as a gaffer after he leaves town, years later, inspired little anecdotes which made me interested in a job which had never demanded my interest before. 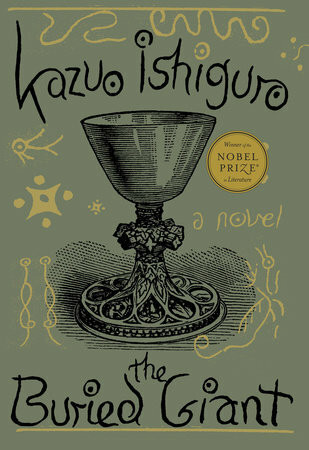 I definitely preferred the first 2/3 of this novel to the final section, because the pacing was a little better and the characters more captivating, but by the end I thought the story felt nicely rounded out. I would recommend What Is Left The Daughter to readers of historical fiction who don’t need everything to be a history lesson, people who like Evelyn Waugh’s more serious novels. Fans of stories about sad families in small towns, seen through a lens of beauty rather than grit – books like The Strange And Beautiful Sorrows of Ava Lavender – will like the writing in this book. The plot’s wayward journey will eventually fade like a childhood memory, but little moments between the characters, a line here or a false impression there, will make a lasting impression.